A special ceremony was held earlier today to honor ten brave officers of the Belize National Coast Guard who were involved in a standoff with the Guatemalan navy. That confrontation took place on the Sarstoon Island where a forward operating base is being constructed. 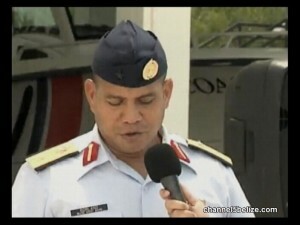 It started on Thursday and concluded on Friday and according to the Coast Guard; they did not retreat from the confrontation but stood their ground, telling the Guatemalan navy officers that they were in fact in Belizean territory even though they were being outnumbered by the Guatemalans. The ceremony was not open to the media, but late this evening, the press office provided coverage of the event. Just as David Cameron is not the commander in chief so too Dean Barrow is not. 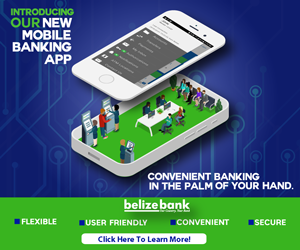 The commander in chief is the Queen and in Belize is the Governor General. Our Men and Women in uniform have made every Belizean proud. I would also like to take this opportunity to nominate Wilfred Peter ”Sedi” Elrington for traitor of the year. He has done an exemplary job of defending Guatemala against the dreaded Belizeans that are seeking to stand up for their country’s right to exist. He has proven time and time again how committed he is in proving Guatemala’s claim to Belize to be right and just while denouncing and chastising any Belizean who would stand against his beloved motherland Guatemala. He has shown more commitment to Guatemala’s cause than any of his opponents in Belize. He is a man of vision for he is securing his spot in the new Guatemalan territory of the former and once independent Belize. You Sir are truly an inspiration to ruthless traitors everywhere. So glad to see that these brave guys on our front line is being recognized and honored. i salute you all. Thanks for standing up for all of us. I ALSO SALUTE THEM AND GIVE THEM THANKS FOR STANDING OUT FOR OUR NATION. KUDOS TO THEM AND MAY GOD KEEP BLESSING THEM IN THEIR RISKY CAREER WHILE WE LIVE PEACEFULLY THEY RISK THEIR LIVES FOR US. THANK YOU AGAIN. That the bull again.. good thing no one was hurt.. good thing guatemala navy didn’t open fire..